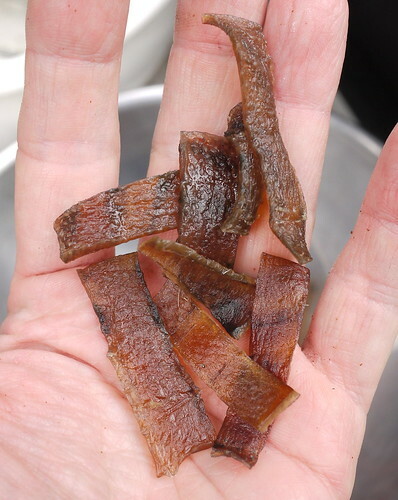 Just when I thought bacon couldn't get any better, someone inspires me to deep fry bacon skin for pork rinds. Boy howdy this works, and the flavor is crispy bubbly bacon air. In the previous episode, I revealed the secrets to making restaurant quality chicharones at home. 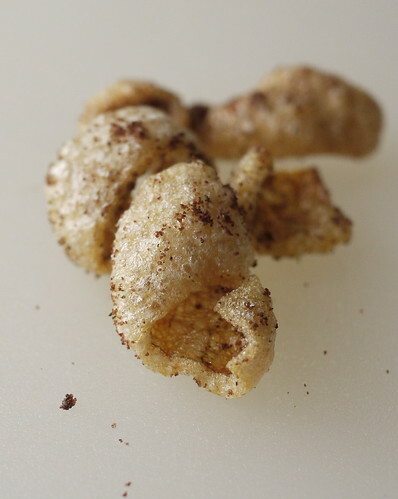 It's a fun parlor trick to impress your foodie friends, but making them out of bacon rinds is an important step forward the evolution of pork rinds that should appreciated by both the amateur and the enthusiast alike. My thanks goes regular reader TC for the comment that triggered this bacon revelation. TC, I hope you test this recipe and post your results soon. For these chicharones you're gonna need to make some bacon. Never made bacon before? 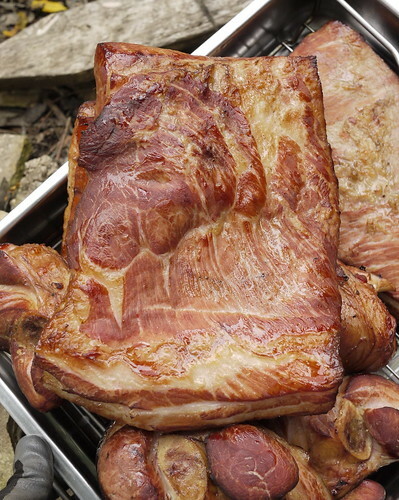 No worries (as the kids say), check out my internationally recognized bacon manifesto, in it are detailed instructions on how to make bacon at home. 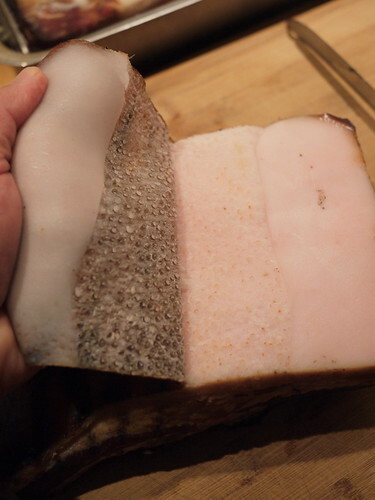 To remove the skin you can either slice it off while it is still warm, or or wait a day and peel it off when it cold. The advantage to the cold peel is that there is less fat adhering to the skin. But be careful there can be spots where the fat really wants to stick and come off in large chunks. Go slow and steady and you'll be fine. 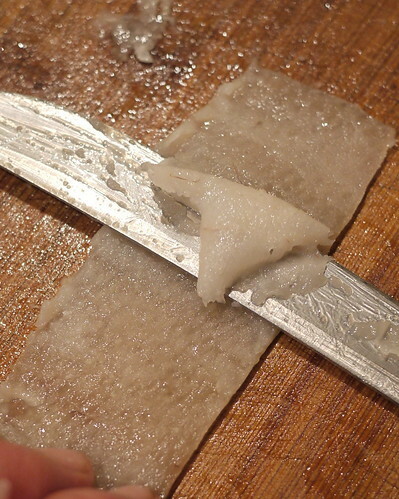 Place the peeled skins flat in a pot and cover with water. Set to simmer. 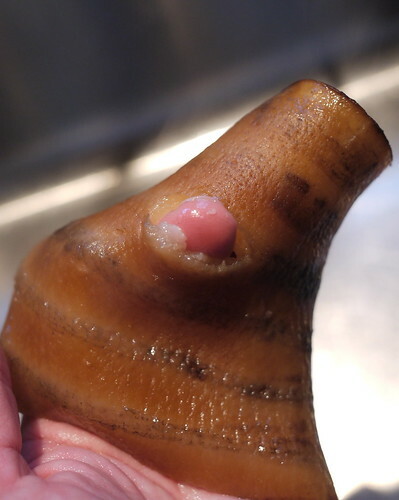 After about an hour check for doneness: If you can easily poke your finger through the skin, it's done. Once cool, scrape the skins. It's annoying, but the cleaner they are, the more they pop. 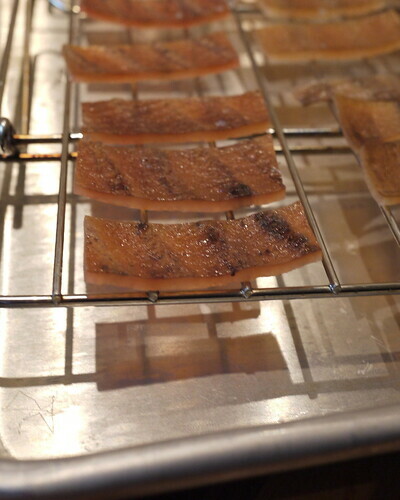 Once clean, cut the skins into Frito sized shapes and put them into a very low oven (or dehydrator) to dry. After several hours (four to twelve depending on the oven temp) you should have a hard, unbending bacon chit. 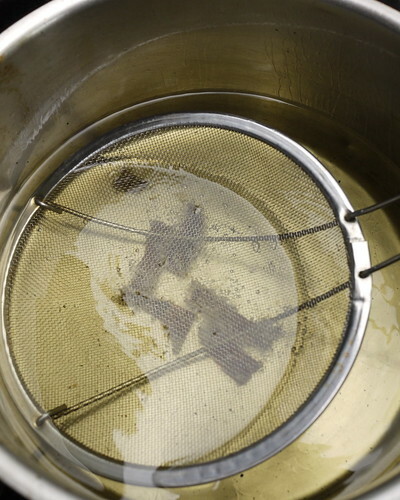 Set up the fryer station, heat to 375F. Drop a few in at a time and hold them under the oil. After a few seconds they should pop. They should be done cooking in about thirty seconds. Toss with seasoning. Salt and pepper is fine, or try some sort of mixture. I put together sumac, dried thyme, and sesame seeds ( that's za'atar, yo) along with a little citric acid, for a flavoring I call Dorito. Tasty bacon flavor in a crispy snack. Try it! Great step-by-step tutorial! 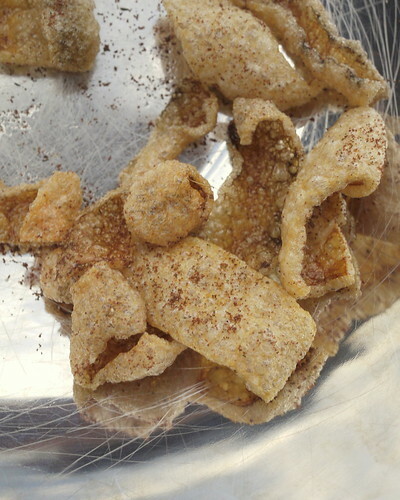 We've made weak attempts to do bacon skin chicharones in the past, without much success. Looking forward to giving your technique a try.